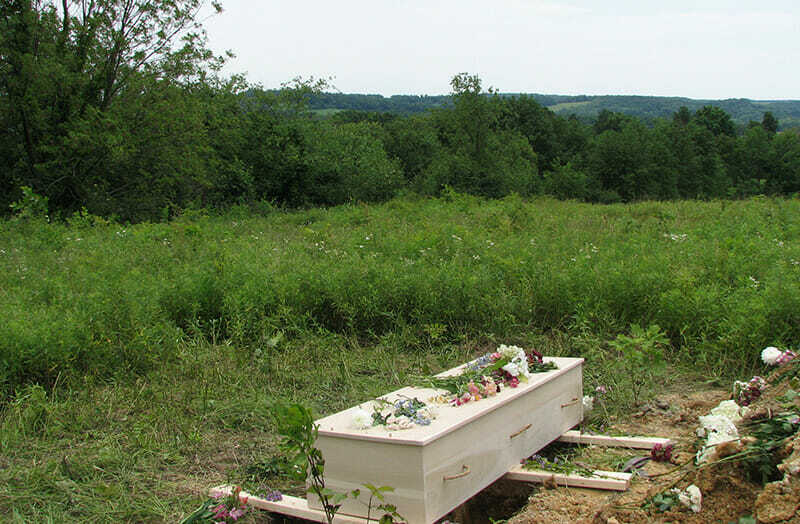 Spookier than the thought of walking atop dead people is the idea that modern-day cemeteries have morphed into de facto landfills. Photo illustration by Rebecca Katzman. 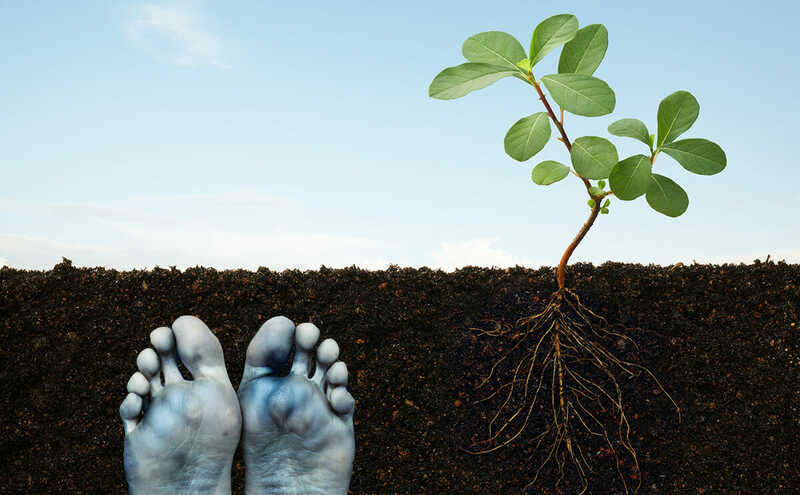 This, perhaps, is why so many eco-conscious folks today are buying out plots at green cemeteries: they’re asking to be buried in a chemical-free manner and without the added carbon footprint that comes with metal caskets and burial vaults (originally invented to deter grave-robbing). Essentially, they’re asking for maggots and the like to chomp away at their bodies just a little bit quicker ”“ to accelerate the process of being broken down and becoming one with the soil. A grave at Foxfield Nature Preserve, a green cemetery on 43 acres of a former farm in Wilmot, Ohio. / Courtesy Foxfield Preserve. Yet more significant than the debate over conventional versus green burial, to Harris, is the issue of proper cemetery planning. Cemeteries, he says, should be placed in areas that are not subject to flooding. Otherwise, trace elements of harmful bacteria and pathogens emitted from the corpses might end up in nearby streams. So, placing cemeteries on high ground is key. They must also be situated in regions abundant in substances such as loam, clay, rock or sand ”“ these materials act as natural filters that trap the bacteria before it enters our water. And then when cemeteries are over-crowded, the ground is unable to absorb all of the bacteria and pathogens.